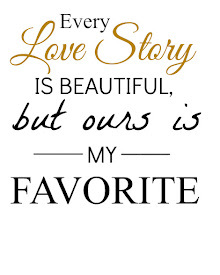 Our Sweet Love Story: My Boys Know How To Treat A Girl Right! Like the title? I was trying to think of something creative and catchy, but these boys really treated their "girl" right for Valentine's this year. I am not really big on going all out for Valentine's, but I do like to use the day to show how much I love the special people in my life. I guess I am also trying to teach my boys to do the same. Eddie really doesn't need a special day to make me feel special because he does a great job with it every day, but I do need a little reminder sometimes. 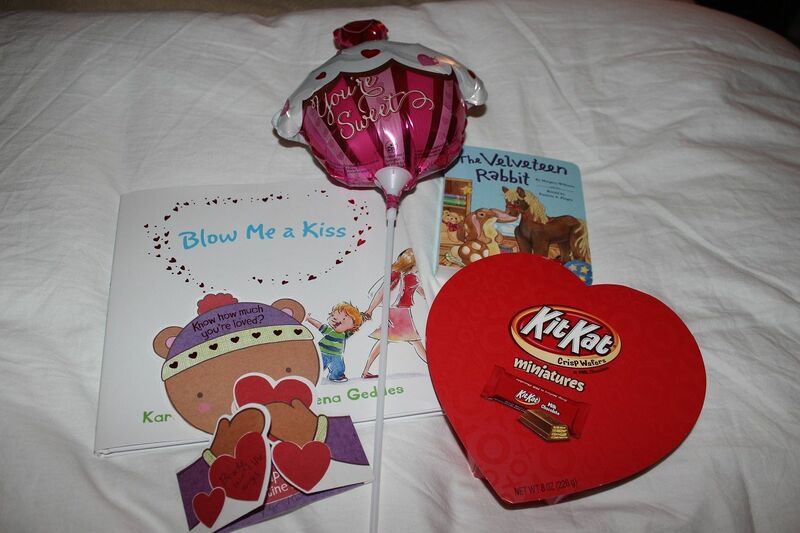 Still, he always outdoes me on the Valentine treats, and this year was no exception. It isn't that he buys me lavish and expensive gifts. He just does the things he knows I will really like. 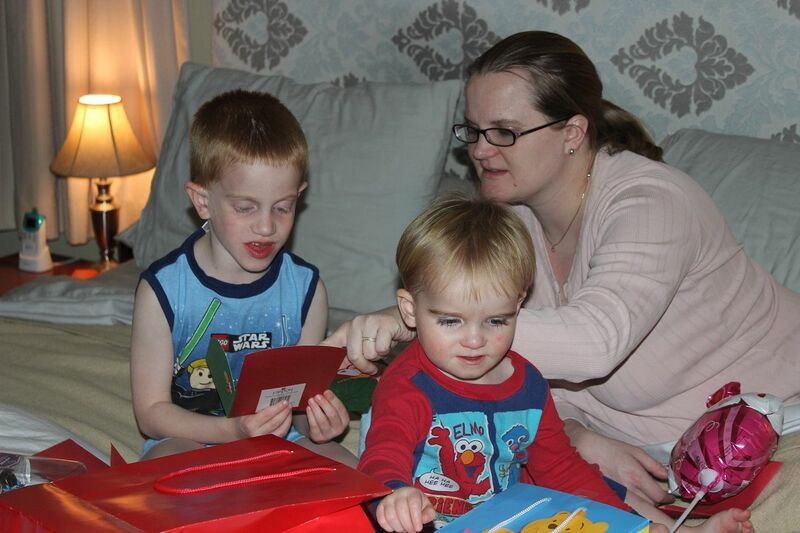 This year, I started the Valentine's preparations on Sunday afternoon getting the boys' valentines ready for school. Evan would have helped me more, but he had Grandma here, and she is way more fun! 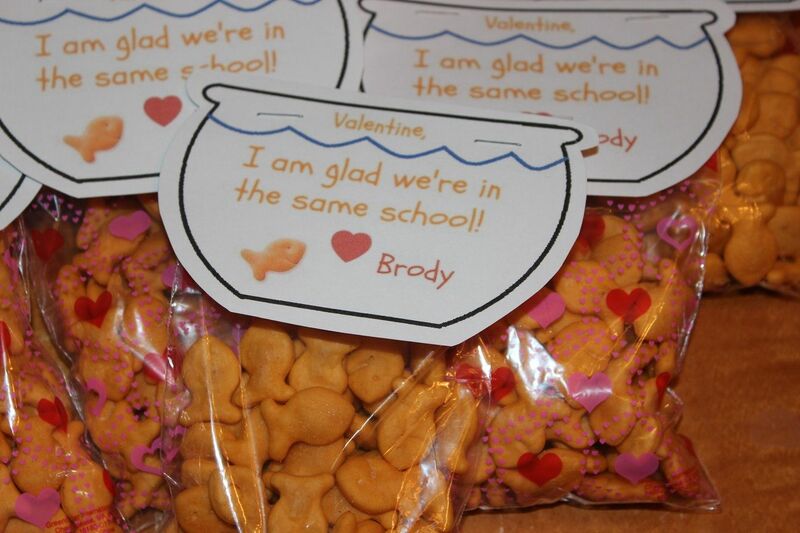 Brody took his valentines to school on Wednesday since he doesn't have school on Thursdays. 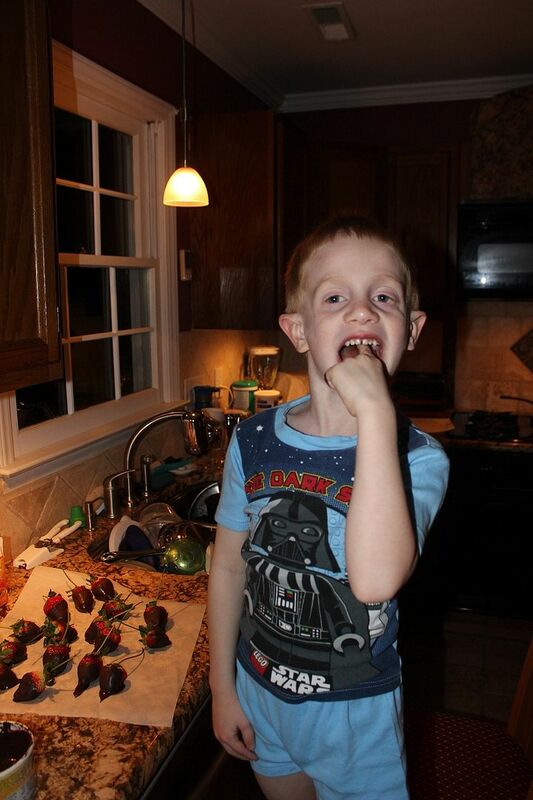 Evan had a little Valentine's party in his class on Thursday. I wish I could have gone, but I really have to pick and choose what events I attend carefully since I have to take time off from work. I think I'll hold out for Easter this year since it is my favorite holiday. 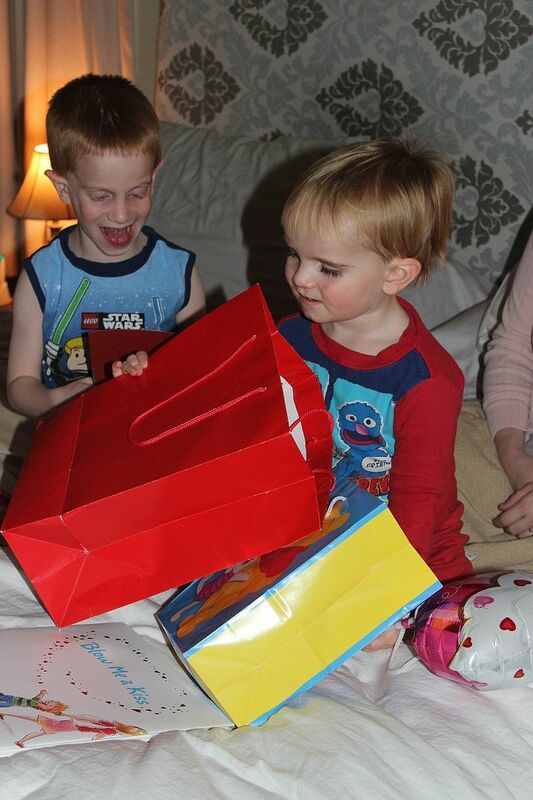 Although I didn't get pictures of Evan, Evan and Brody did wear their red on Valentine's. 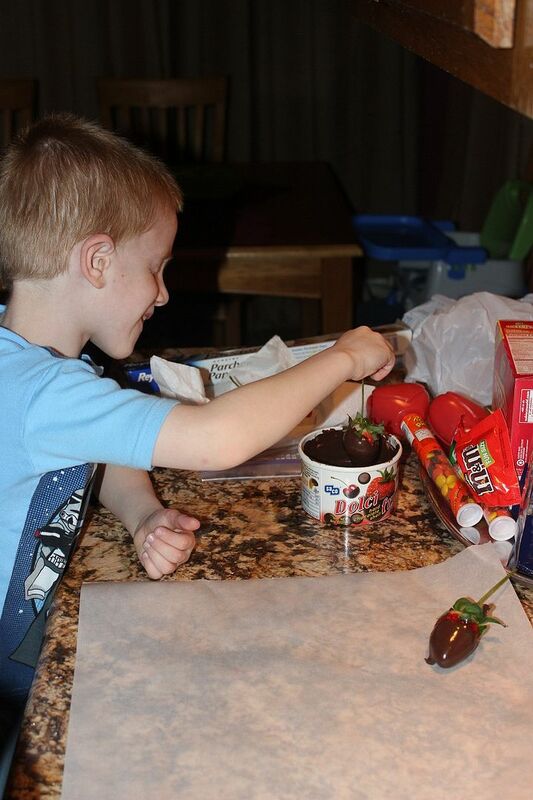 I didn't buy them Valentine's themed shirts this year (Mommy fail?). I did look at Target for something, but I really didn't see anything cute in their sizes. They both looked really handsome though in their red polo shirts. 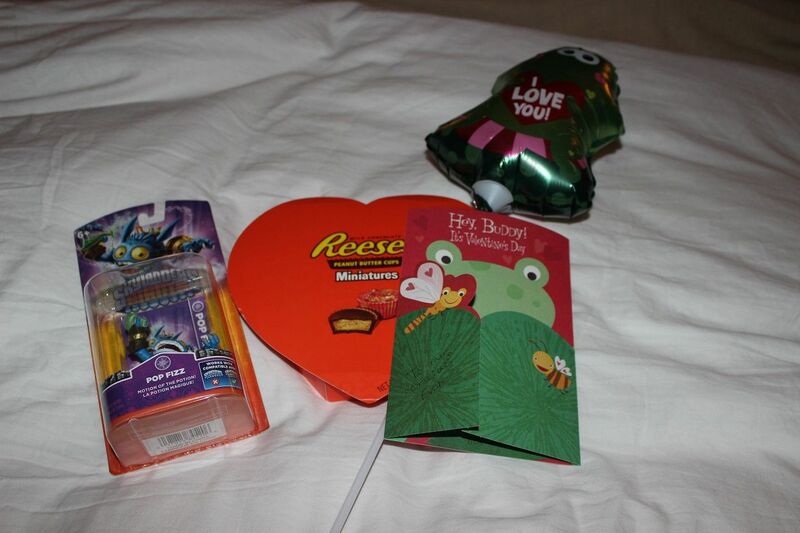 Although I had to work and go to school on Valentine's, Eddie did take me to lunch, and we exchanged our cards then. He, of course, spoiled his "girls" with a special gift card for some prenatal massages. 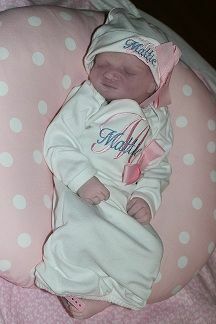 I think I may be giving up a little of the spotlight with him after this year as he has a new princess to spoil. 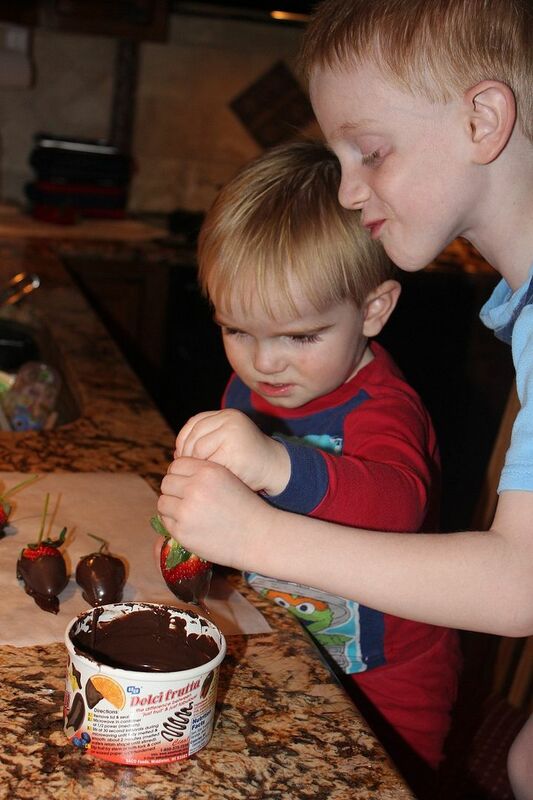 The boys and I didn't get to celebrate our Valentine's together until Friday night, but they did help their daddy make me some yummy chocolate covered strawberries Thursday night. Told ya they know how to treat a girl! When I got home from work on Friday, we suffered a little catastrophe. I was outside in the front yard talking to our nanny, and Evan was running around with her little boy. He tripped over an exposed root from one of our many trees and fell. He got himself up but was holding his side and ran into the house to his daddy who had already gotten home. I told our nanny bye and ran in after him. 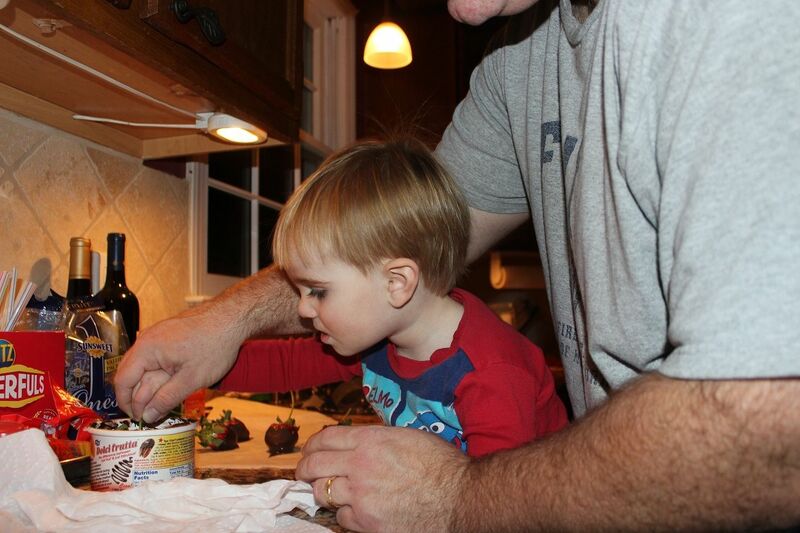 He and daddy were upstairs in the bathroom doing minor emergency surgery. He had a nice sized little scrape too big for a regular bandage. It was right on his side and hip so he cried every time he moved or bent over. Daddy put some Neosporin and gauze on it and wrapped an ace bandage around his waist. With his shirt off and his bandaged waist, he looked like an injured boxer. Ha! He just wanted to lie down for a while after that and went in his room. Later, we went out to dinner together so by the time we got home, it was close to bedtime. Brody had actually fallen asleep in the car on the way home. 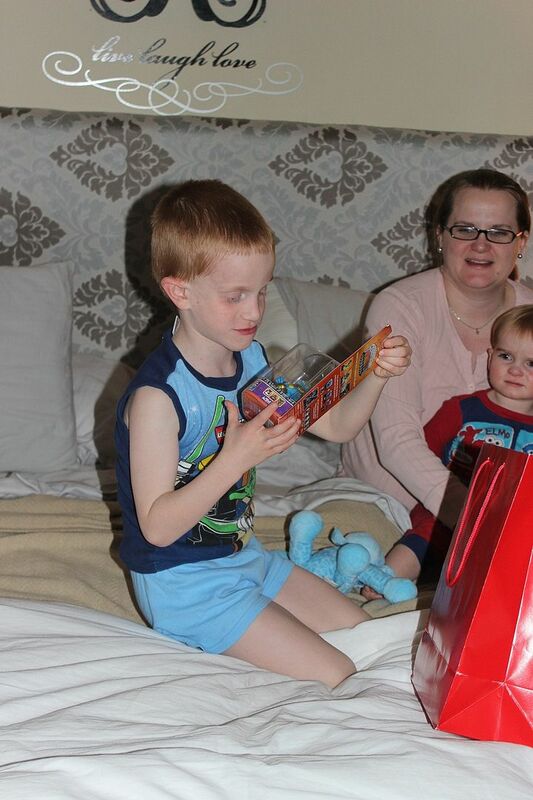 We all got ready for bed and then the boys opened their Valentine's treats from us. 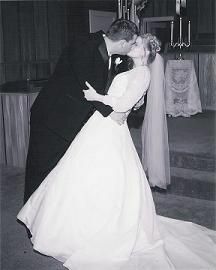 So although we celebrated Valentine's over the course of a few days, we shared some special memories together with the ones we love! 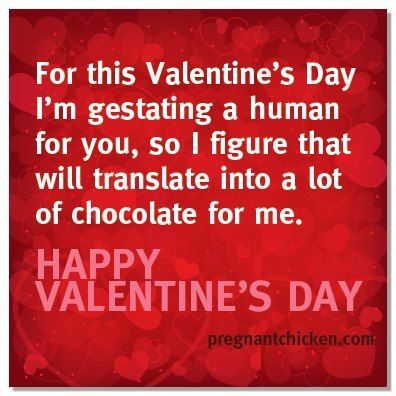 One of the nursery design pages I have been following posted this for Valentine's. I thought it was hilarious and highly appropriate. 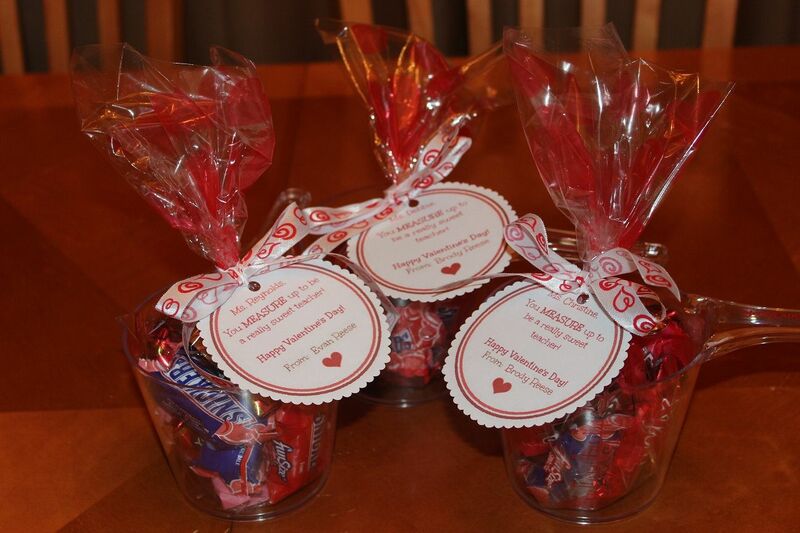 Brody and Evan's teacher valentines - Pinterest inspired. I made my own printable though. 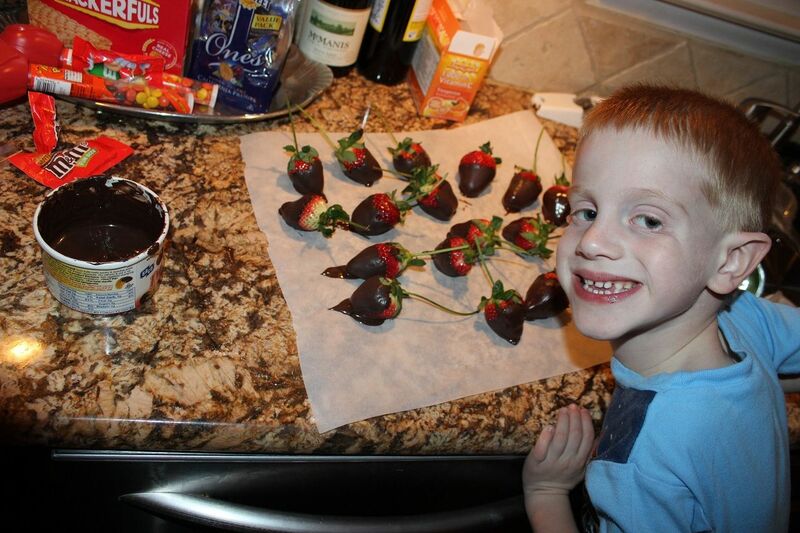 Brody's valentines were also inspired by Pinterest. I made the printables myself as well. 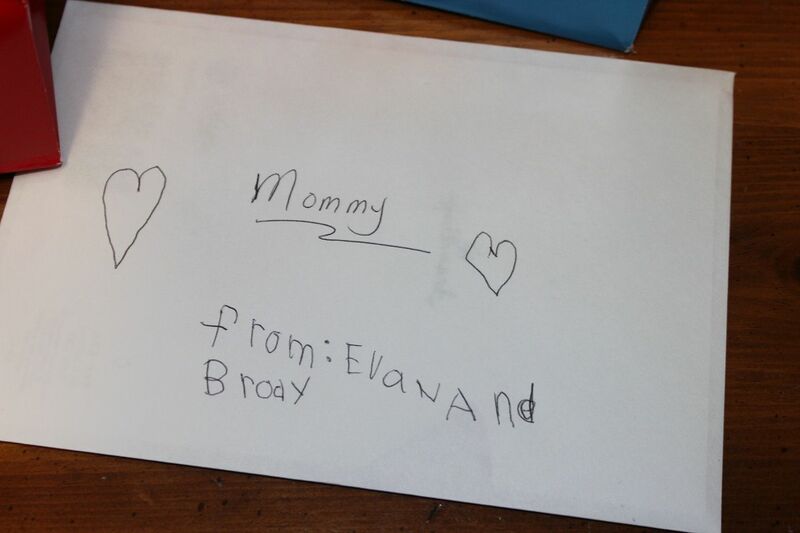 Evan's valentines. I came up with these on my own. I though chocolate "hugs" were more appropriate than kisses at this age. Brody dressed for Valentine's...yes, he's missing a sock. 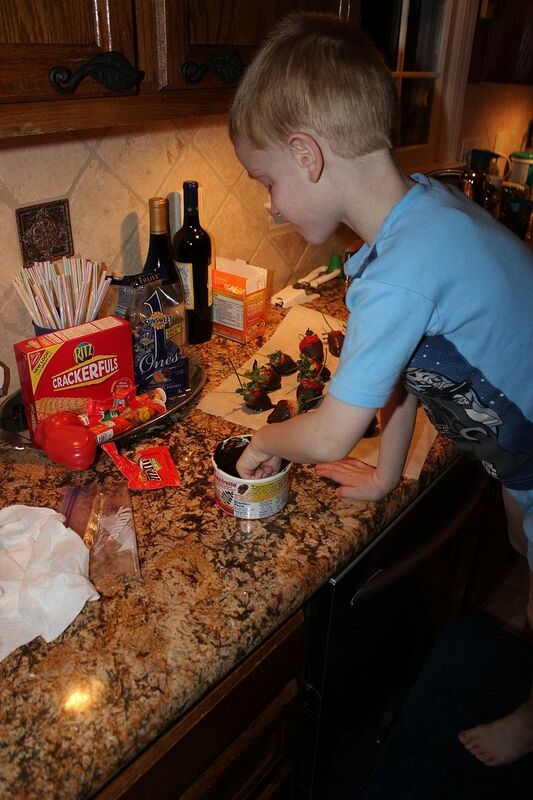 Evan was a pro making Mommy's chocolate covered strawberries. 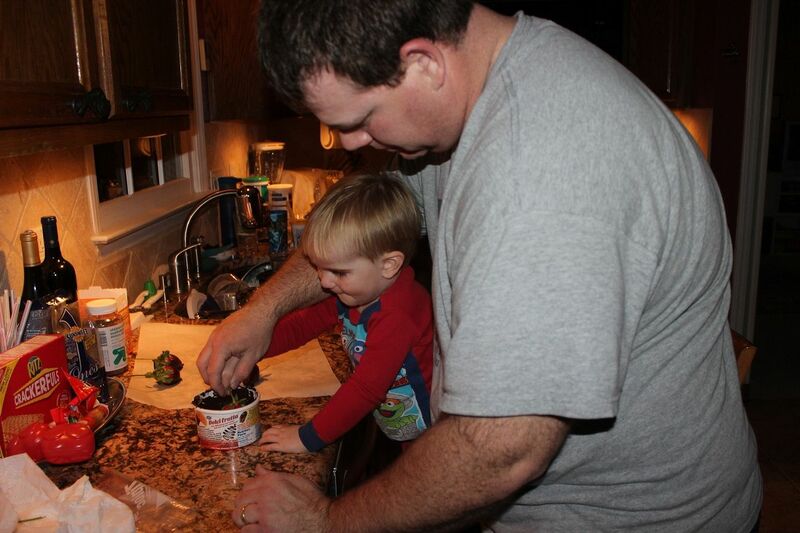 Daddy showed Brody what to do while Evan took their picture. Evan showing off his creations. And guess who got to enjoy the leftover chocolate? 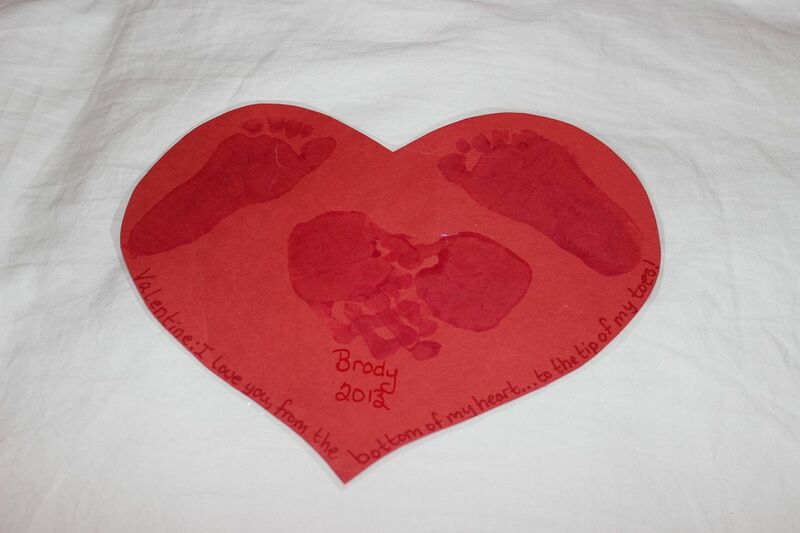 Our sweet valentine from Brody. 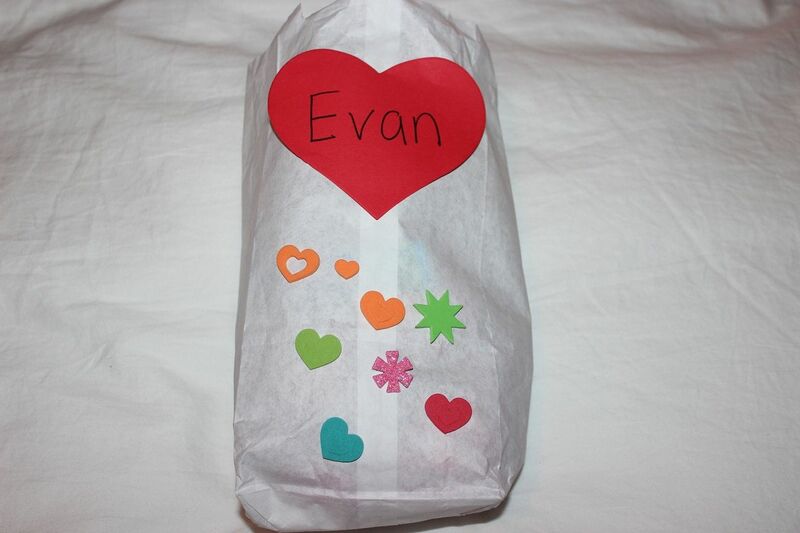 Evan brought home a bag full of valentines. 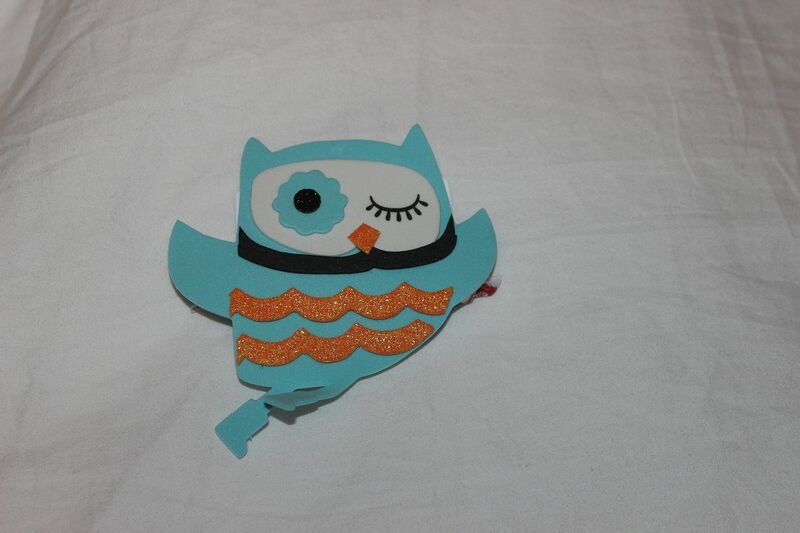 Including a special owl valentine from his teacher. 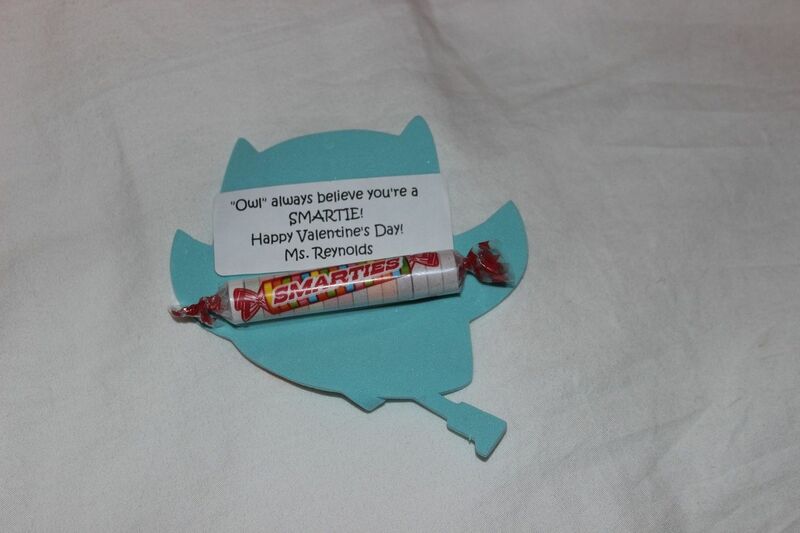 With some smarties for our smartie! 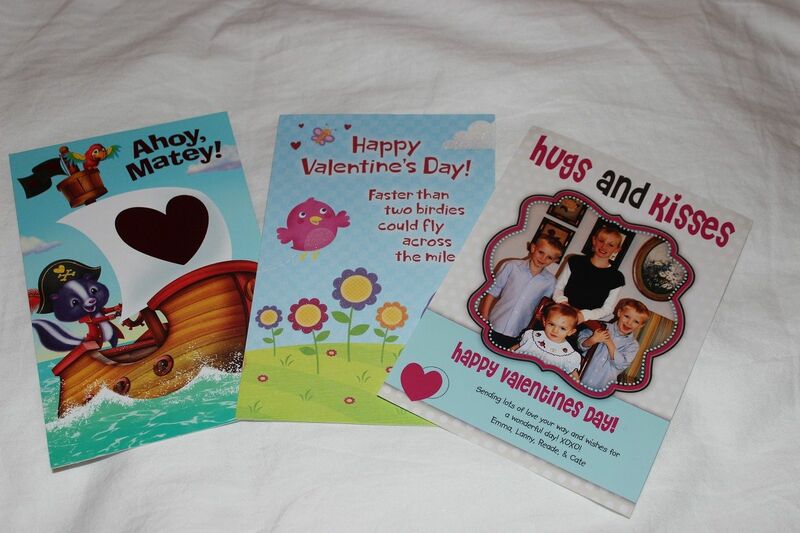 And they got some valentines in the mail from grandparents and cousins. 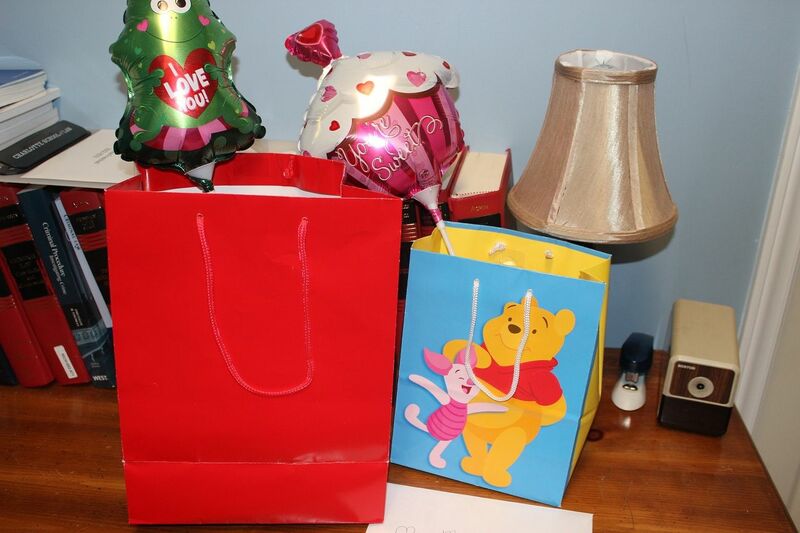 The boys' valentine bags from mommy and daddy. I didn't buy bags this year and just used what I had. 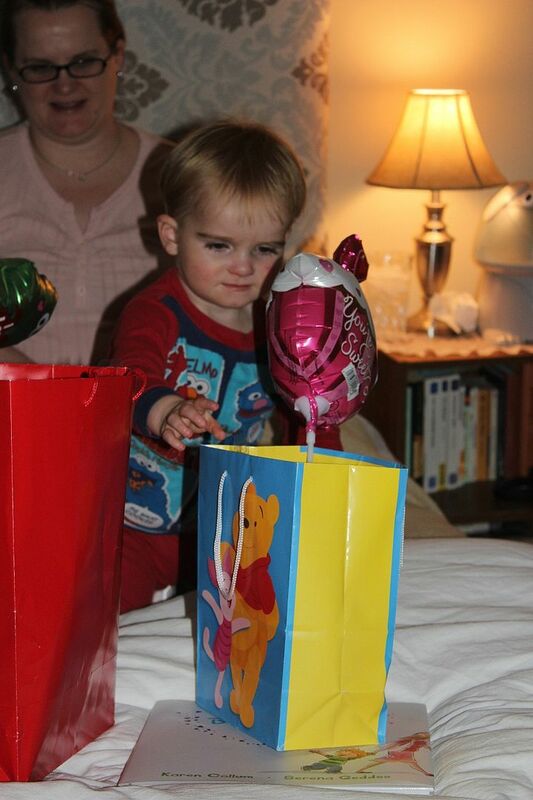 I guess Pooh and Piglet are appropriate for Brody. A special card from my boys. 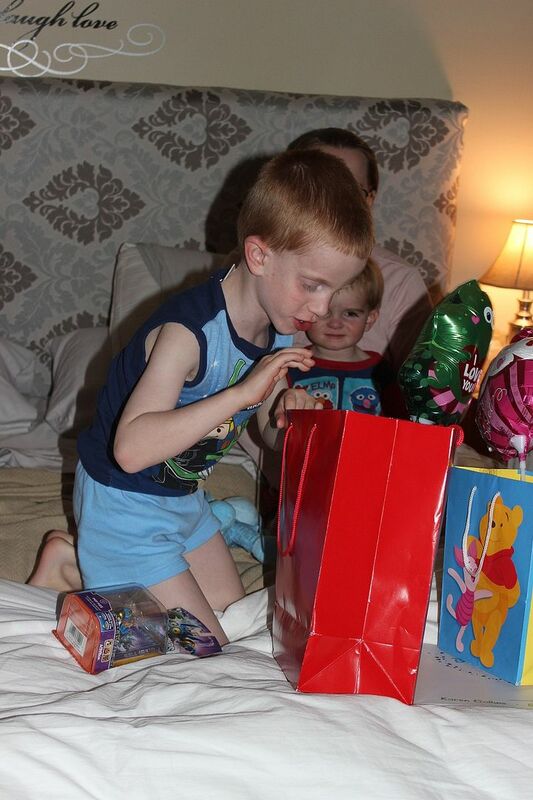 I love Evan's face as he peers into his bag. 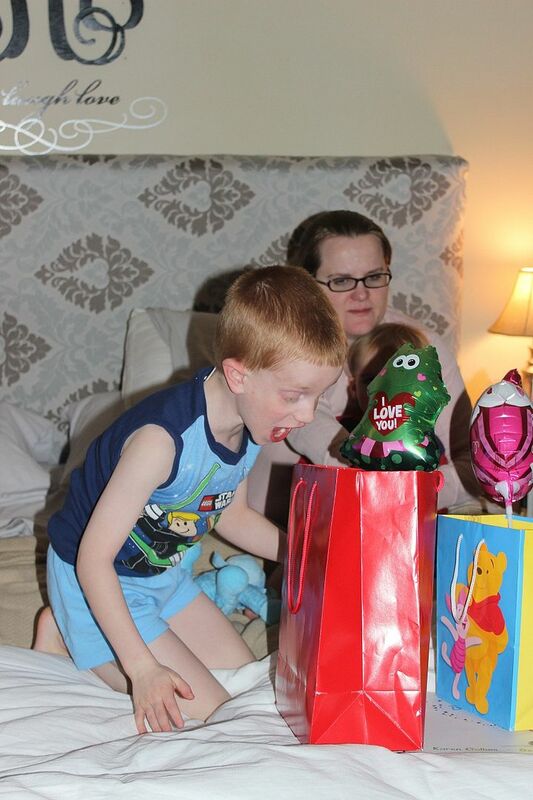 Evan got a new Skylander he wanted. It is all he wants these days. Seeing what else is in his bag. Brody checks out his goodies. Brody has developed some funny little expressions. 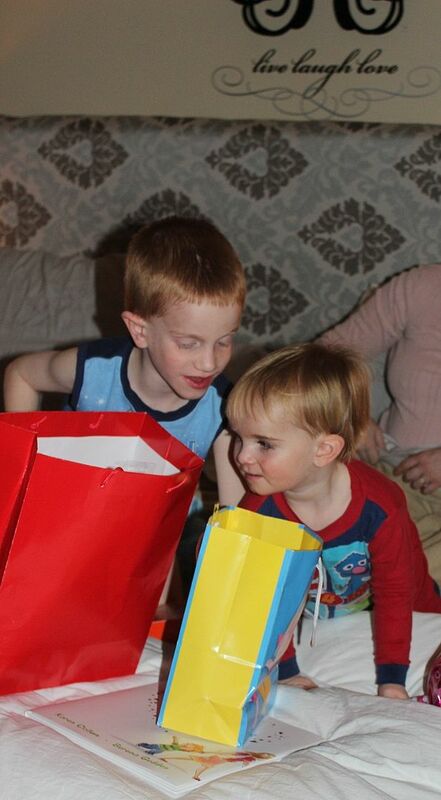 "Hey brother, what have you got?" Brody enjoyed the bags the most. 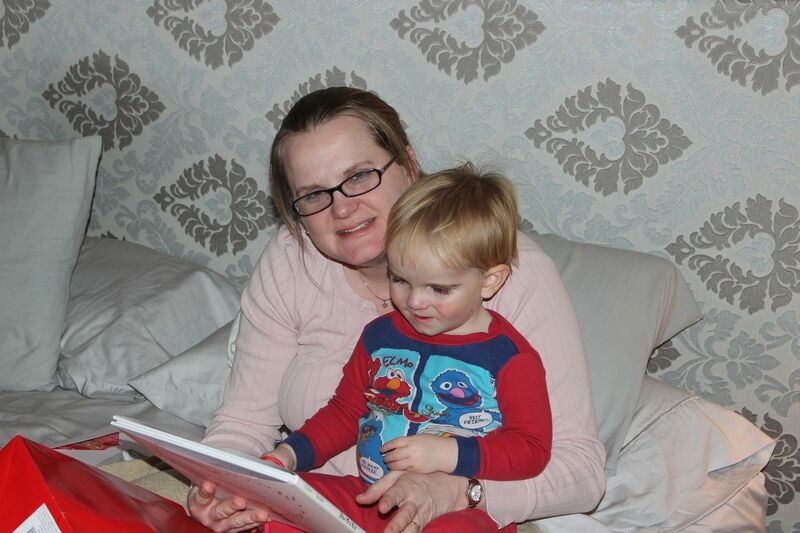 Mommy showing Brody his new book. I thought it was appropriate for him because he has recently started really blowing kisses. He puts his little hand to his mouth and makes a cute blowing sound. He listened to the whole book about a little boy blowing kisses to strangers while shopping with his mom. The strangers were all busy and not happy until they saw him blowing them kisses and instantly became happy and did silly things like playing peek-a-boo and dancing. My sweet sleepy valentine fell asleep in his mommy's arms. He has recently started loving this little giraffe he received at his birth. A couple of weeks ago, he was looking for his silky at nap time and couldn't find one. 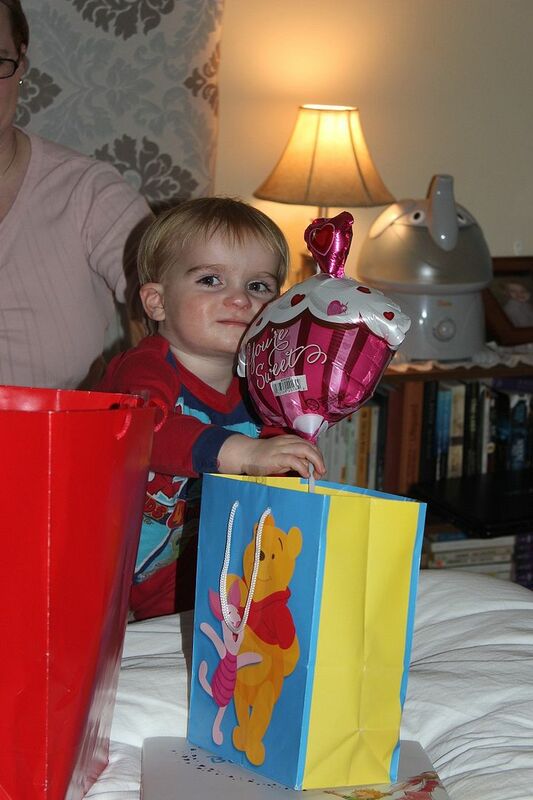 He came out of his room with this and was rubbing the little silky ribbon. 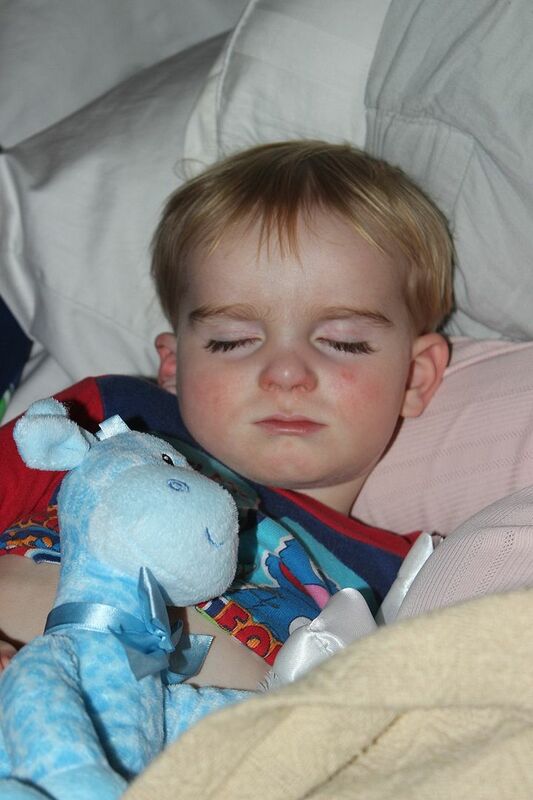 It got him to sleep, and he has been loving it since! The book was on the sale rack at B&N! 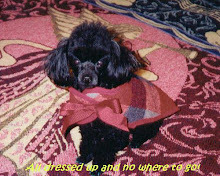 :-) Yes, I think every stage has its special remembrances so try to enjoy every one. 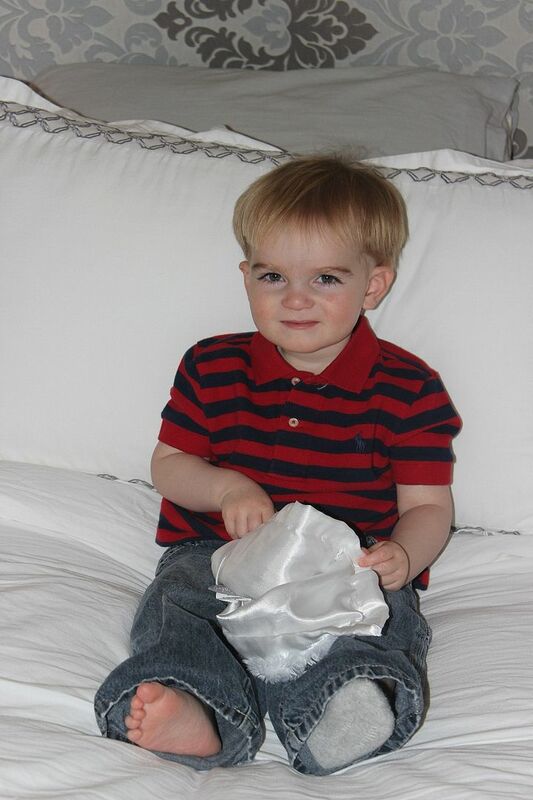 It seems like Evan was just a little baby or just taking his first steps or just starting to talk or just learning to ride a bike or just going to preschool. *Sigh* It all goes too fast! I think it is definitely better to be shown love all year round rather than just a big display at Valentines. And my kids just wore red and pink too. That's cute enough I think! And Evan has obviously inherited your picture taking talent. I'm impressed. 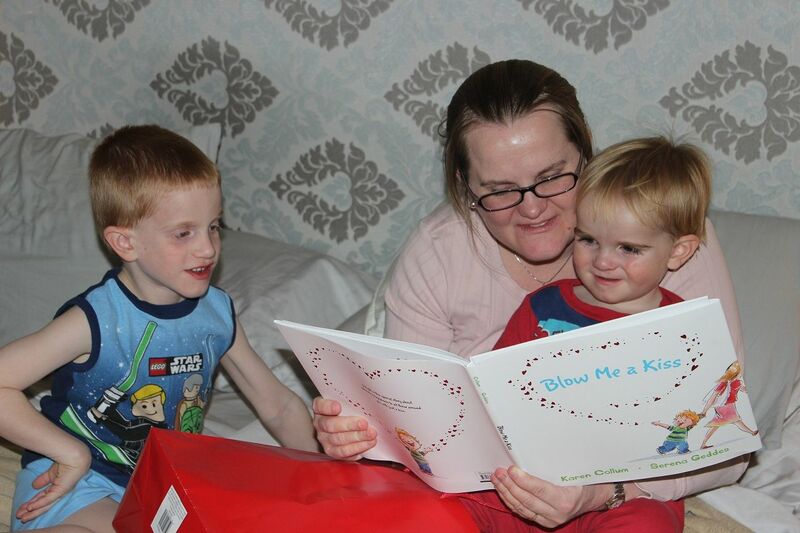 Also, I love the blowing kisses story. Rachel is totally into that too and it always makes people smile. The blowing kisses is the sweetest. He hasn't done it to strangers yet though. 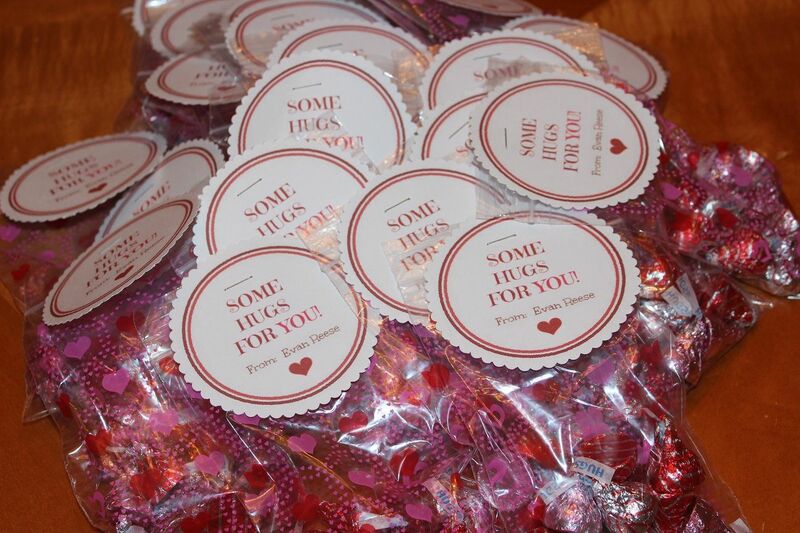 You can absolutely use any of the valentine's ideas! ;-) And guess what we got today?? ?